For a long time the drug discovery and development has been dominated by small molecule projects, but the pipeline for biologics has significantly grown over the past few years and is expected to continue to grow in the coming years. In addition to biologics, including antibodies, proteins, oligonucleotides and peptides, also the number of biosimilar projects is increasing as the first patents for biologics have been expired and many more will expire in near future. We have the pleasure to inform that Admescope has started a new R&D project to develop new services to evaluate ADMET characteristics of biologics. 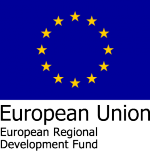 This project has been awarded monetary support from European Regional Development Fund to enable the new service development and acquiring new analytical instrumentation. The new services will be great addition to Admescope’s well-established ADME-Tox services for small molecules and peptides.